The pencil stall allows you to gather and find at a glance all writing, drawing or calligraphy materials for adults as well as children: pencils, felt tips, pens, rubber, pencil sharpener, paper clips, etc. vertically: the pencil stall takes up very little space and can hold up to 100 pencils. 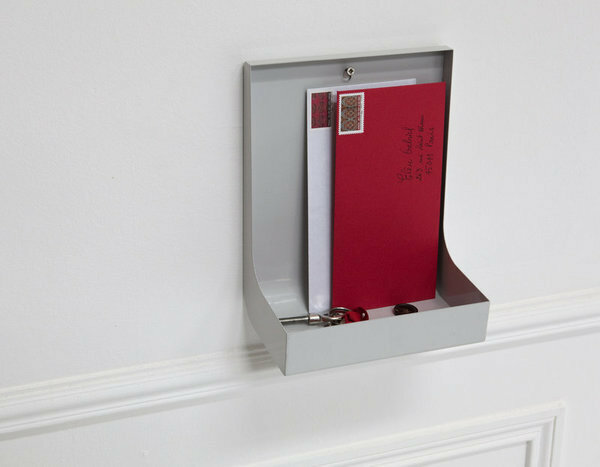 fixed to the wall vertically: the pencil stall frees space on your desk and can also serve as a practical and safe trinket bowl. You can of course place this pencil (or something else) stall anywhere you like. For instance in the children's bedroom or in the kitchen. placed horizontally: pencils and pens are lined up and it is very easy to find the one you want. the pencil pot: probably the most classical because the easiest. A glass or a simple pot often does the trick. A multitude of pencil pots are available. Indeed practical, but it has a reduced capacity, takes up non negligible space on the table, is rapidly full and does not agree with overfilling. the pencil case: Classic for the schoolchildren or students who travel with their pencils. Very practical in terms of mobility, but still with limited storage space (otherwise is becomes less transportable) and particularly non functional to find the pencil you want. the pencil box: a brand new good-looking box filled with brand new pencils is the dream of amateurs of drawing, calligraphy or colouring. It offers perfect visibility on its content as a whole. But in practice, it never stays intact for very long and cannot hold any foreign pencil, pen or felt tip. the draw: everything loose in the draw. Now here is a simple and radical solution...even if it offers generous space, it will rapidly reach its limits because on top of the pencils will soon appear extra layers made of a stapler, paper clips, notepads, etc... meaning that in the end it will be difficult to find anything at all! 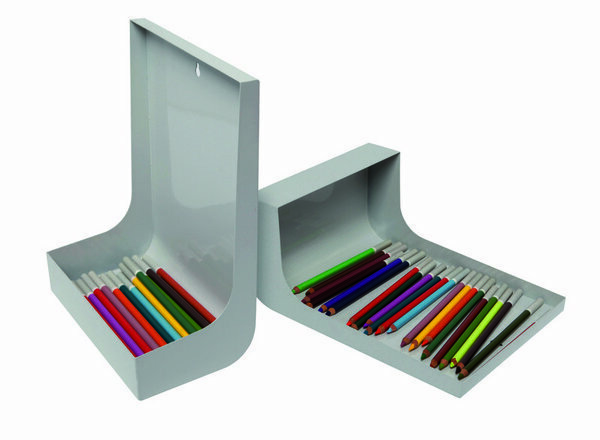 The pencil stall therefore merits your attention since it combines the accessibility of the pencil pot, part of the mobility of the pencil case, the visibility of the pencil box and the space of the draw. 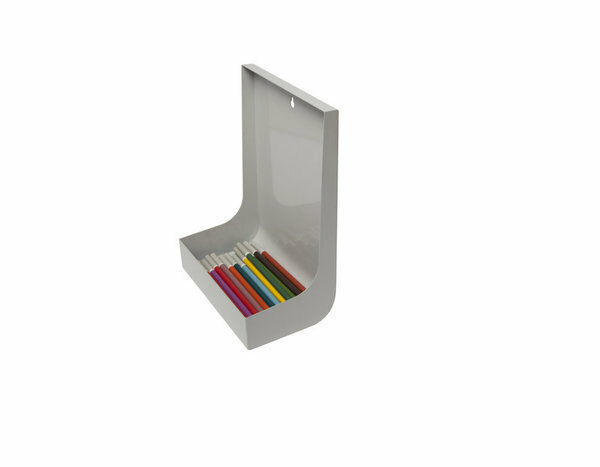 sobriety - simple design without being too stylish, this pencil stall will be as elegant on the architect's desk as in a child's room. 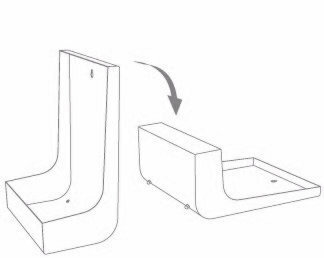 versatile - from a horizontal display case, it turns into a vertical (fixed to the wall or not) storage space with perfect dimensions for the objects it is supposed to hold. solid - even if is not recommended you jump on it, it will last for a very long time: it is made of French steel plates nonetheless.